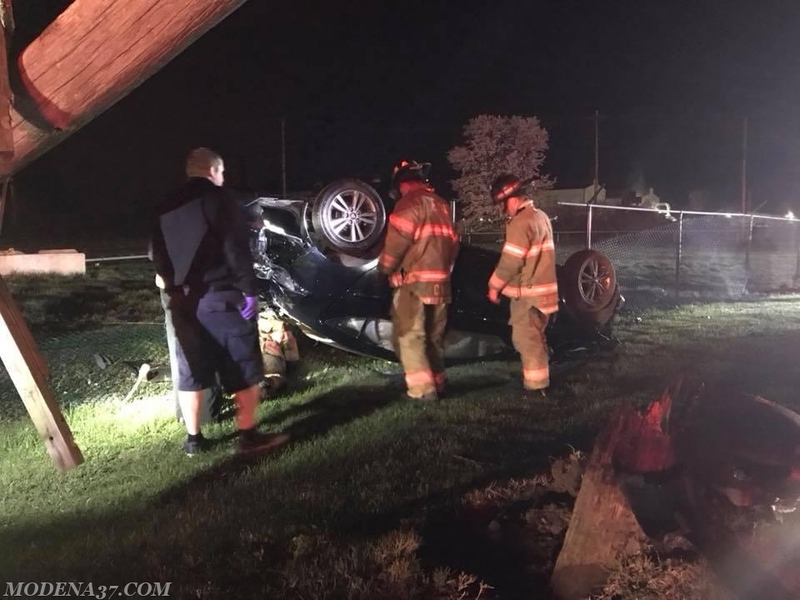 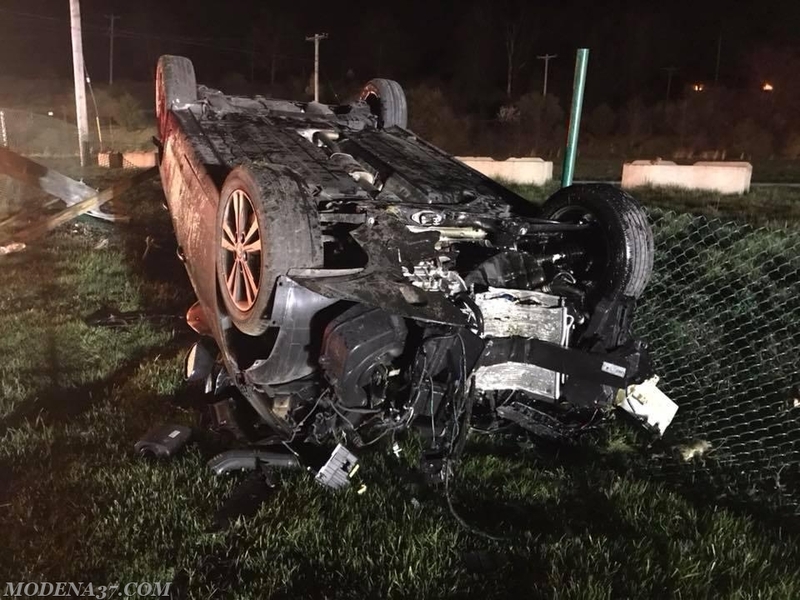 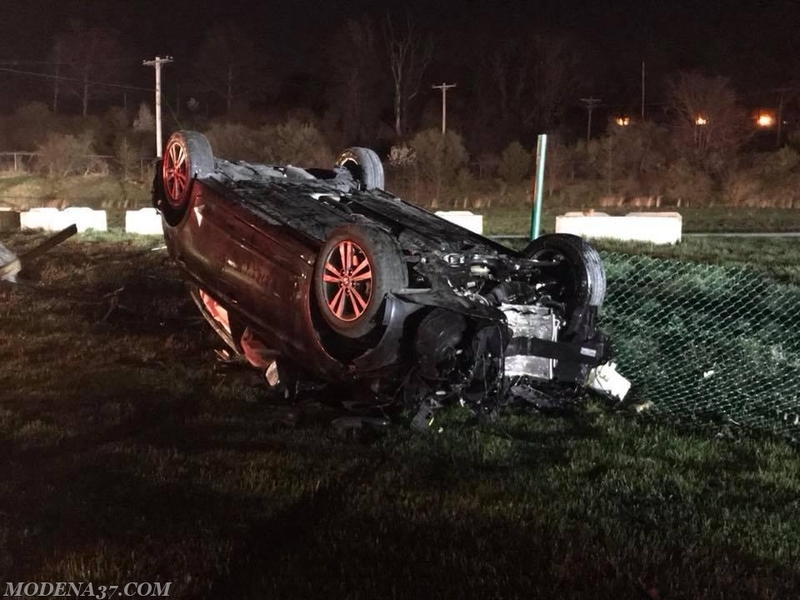 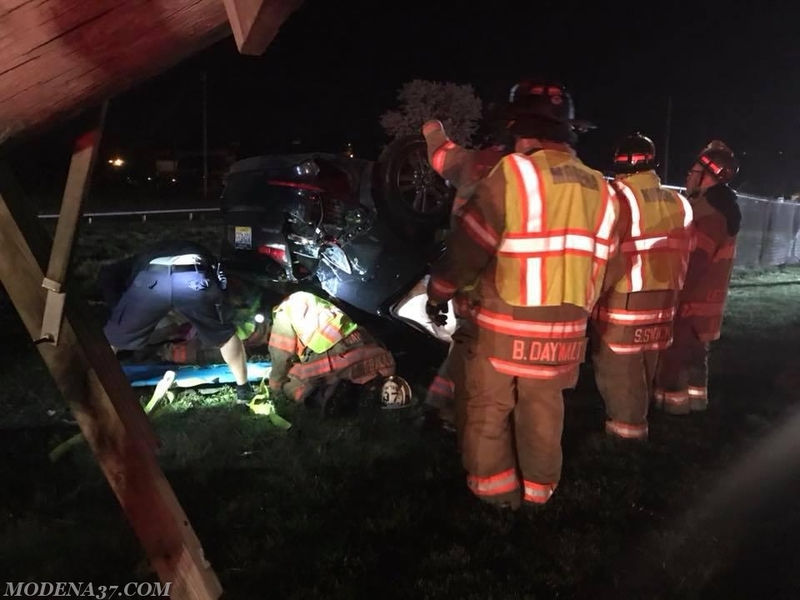 On Sunday night at 2337 the Modena Fire Company was alerted with the rescue/ladder from the city to a reported auto accident with entrapment on the 800 block of South 1st Ave in South Coatesville Borough. 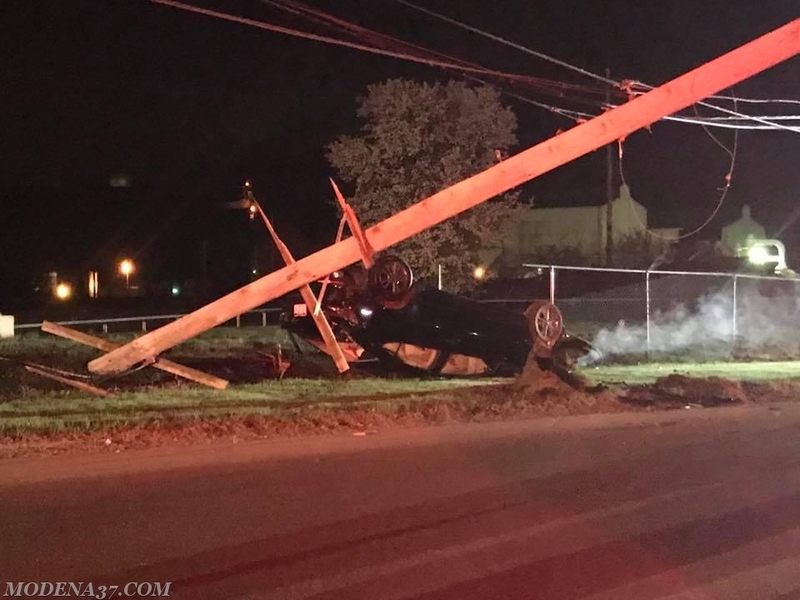 Units were advised on response of a pole down with live wires and one reported to be trapped in vehicle. 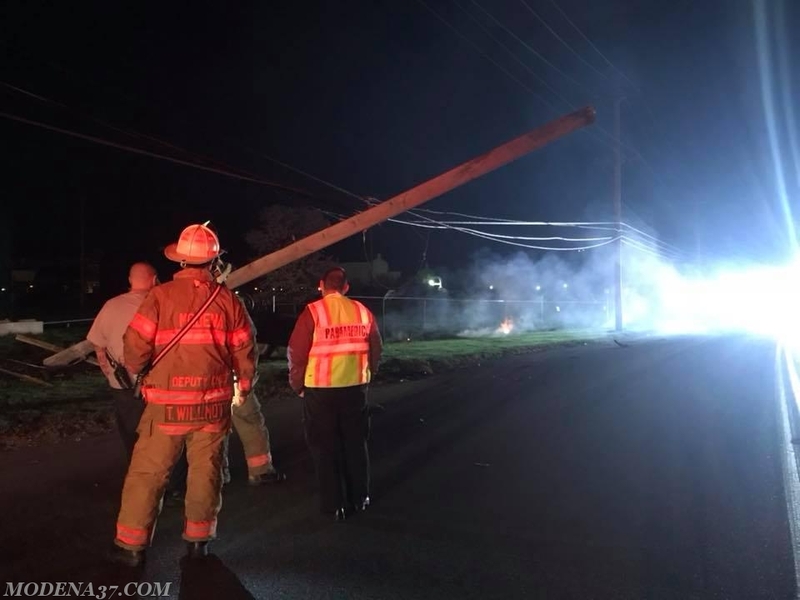 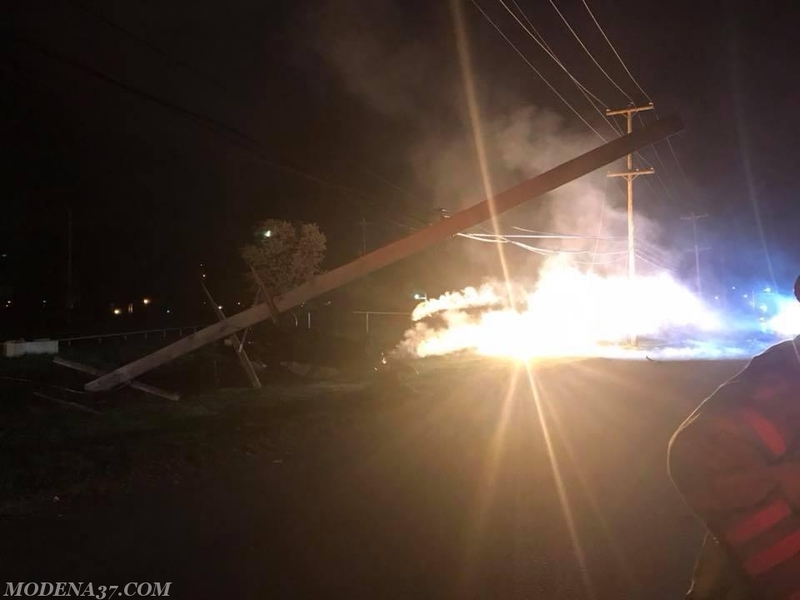 Units arrived and confirmed report however due to the entire fence line being energized crew could not get to the vehicle, Peco was called priority 1. 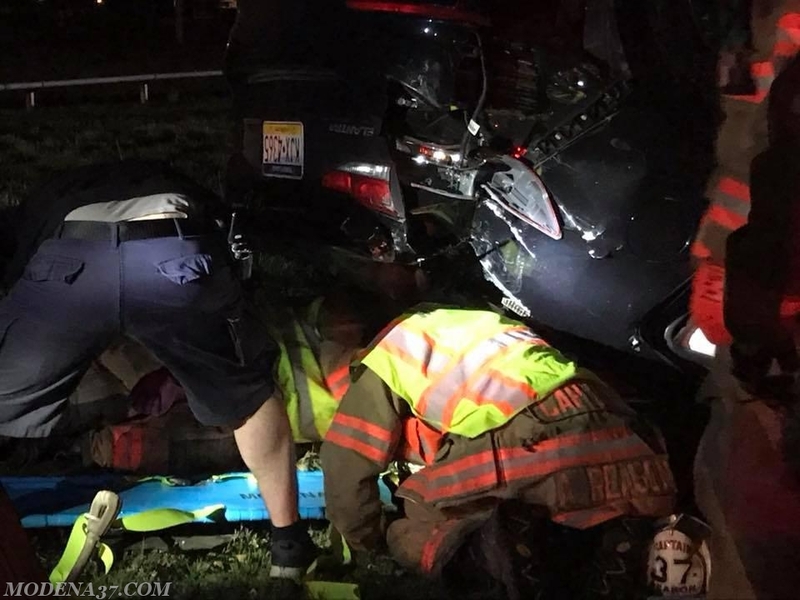 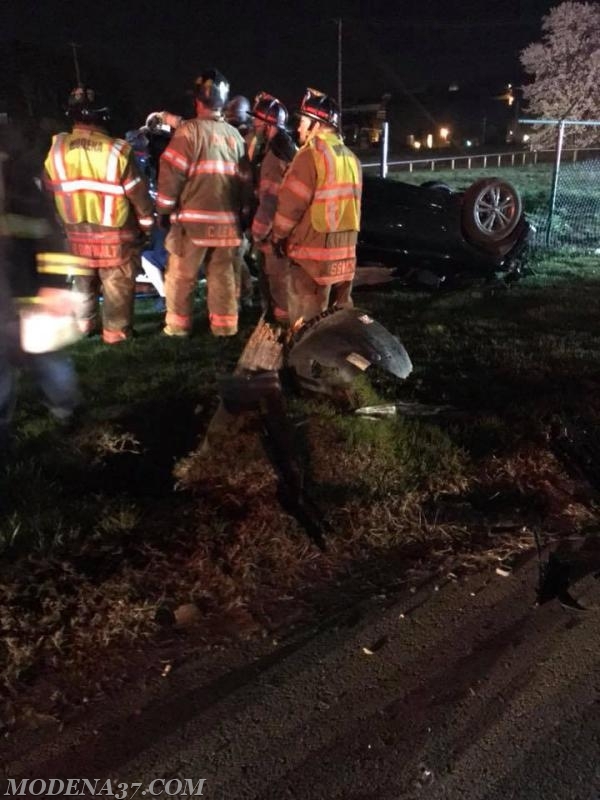 Once Peco secured the power crews were then able to extricate the patient from the car and he was transported to local trauma center.